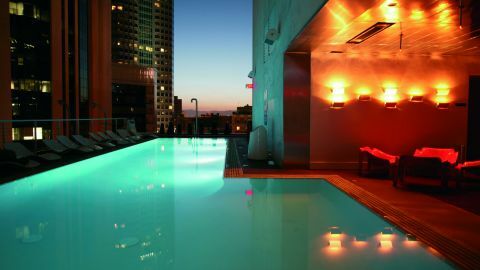 The downtown L.A. 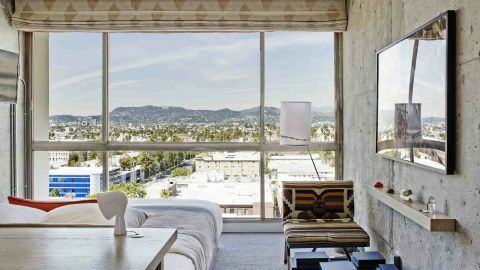 Ace Hotel is housed inside a sheer gem: the United Artists building that was constructed in 1927 for the film studio. 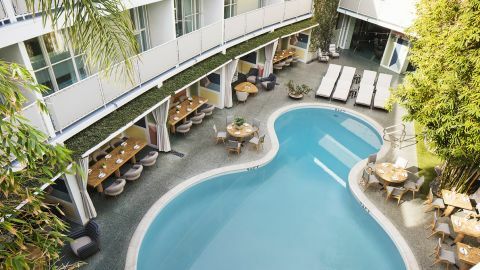 It flaunts vintage Hollywood style, with a playful 1950s look that captures a southern California spirit. 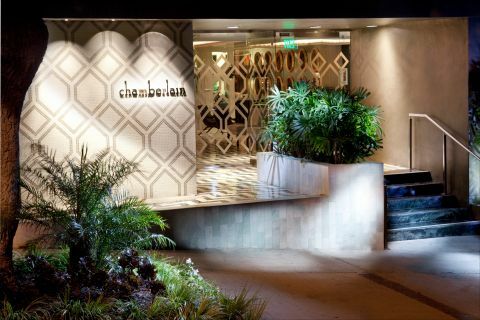 Equal parts Parisian glamour and Golden Age noir, the Chamberlain is nestled away on a residential street. 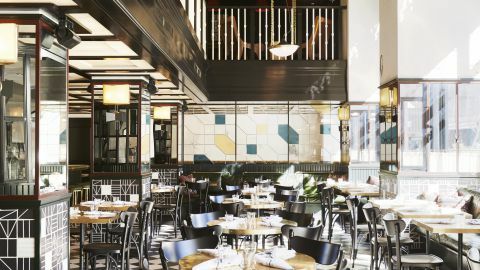 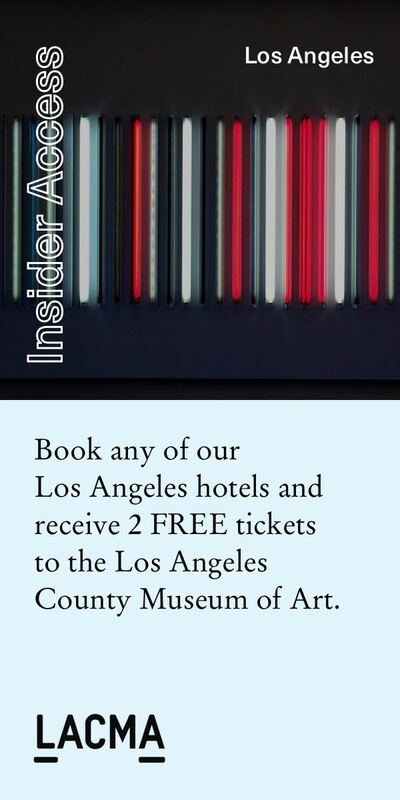 A new reason to ditch the beach and be an active participant in Downtown’s cultural renaissance. 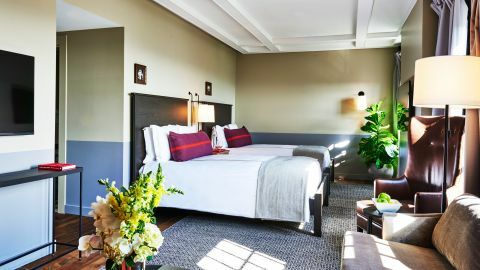 A historic hotel returns to its roots. 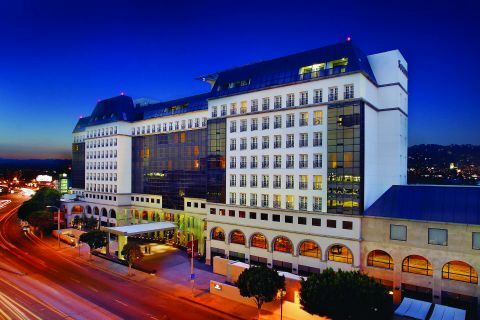 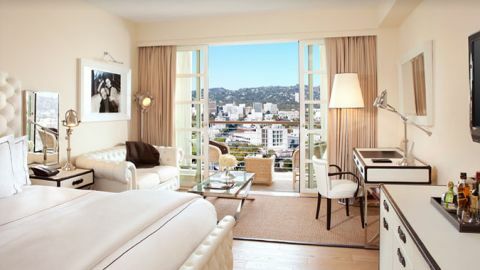 A property flaunting Streamline Moderne-style architecture and opulent Art Deco-inspired rooms. 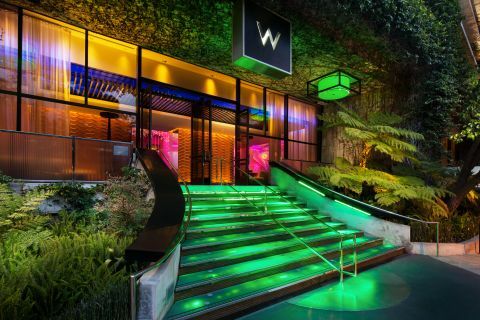 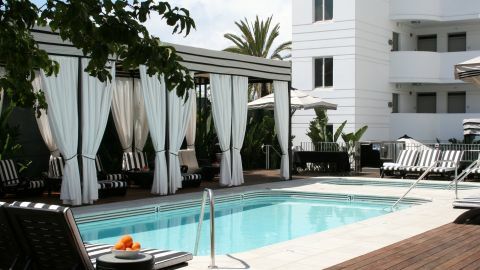 At night, the laid-back Livello Lounge fills up with a high-powered Beverly Hills crowd. 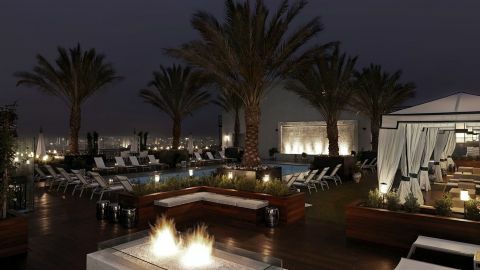 Visit to the rooftop, dotted with a pool, fire pit and cabanas, designed by London-based David Collins Studio. 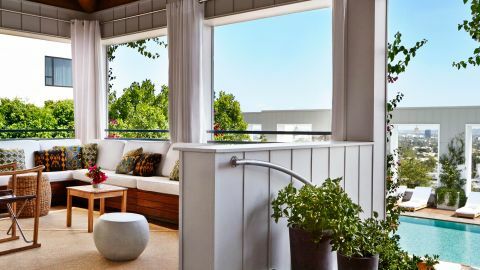 A French brand adapts to the California lifestyle. 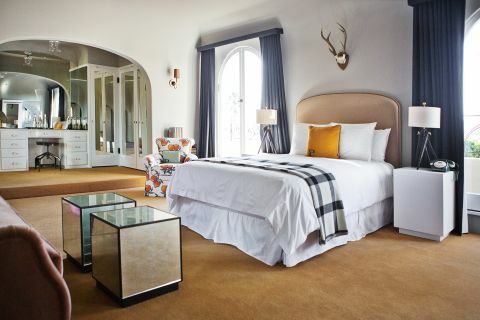 The throwback white-glove service at this Spanish Revival-style hotel starts upon arrival, when guests are greeted by dapper valets in top hats. 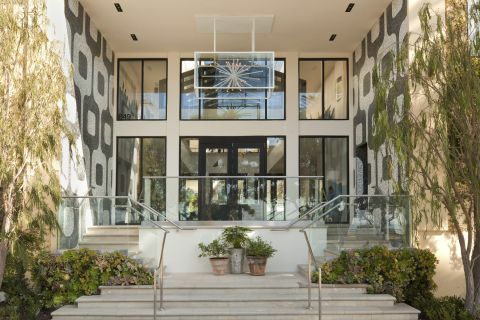 A renovated midcentury-style Deco property by interior designer Anthony Baratta. 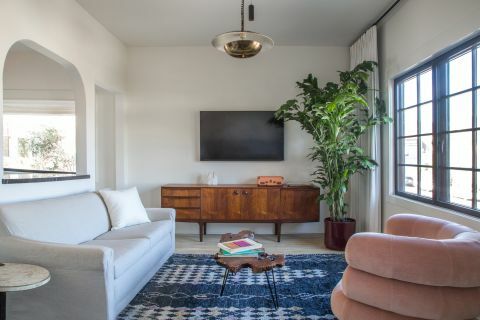 The retro aesthetic is understated and cool, evoking the glory days of 70s Hollywood. 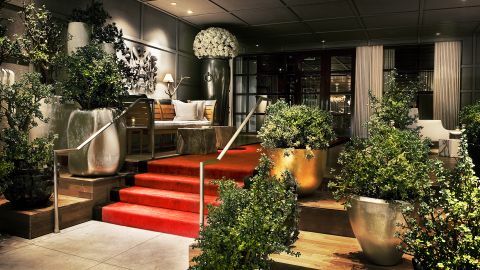 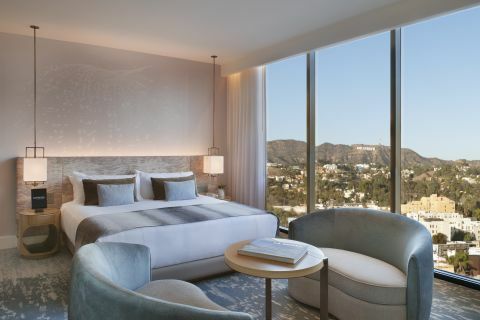 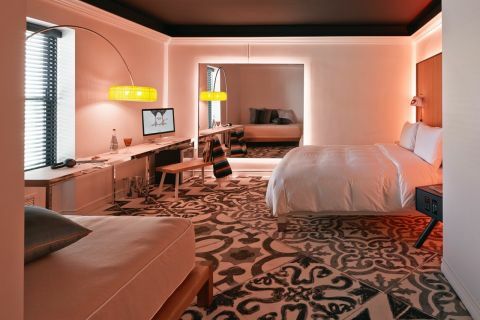 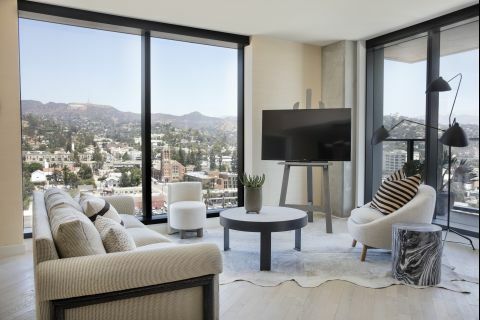 The rooms add a fantastical spirit to upscale Beverly Hills with bespoke furnishings by Philippe Starck and Cassina Contract. 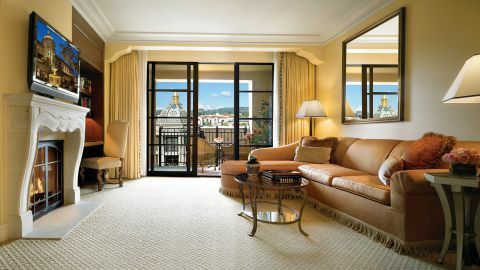 A relaxed California aesthetic with European-style grandeur. 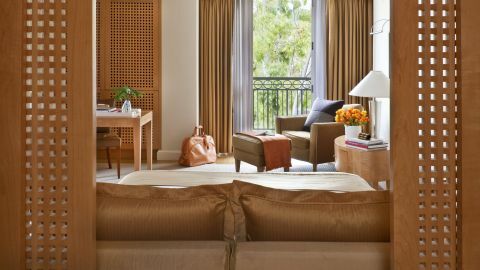 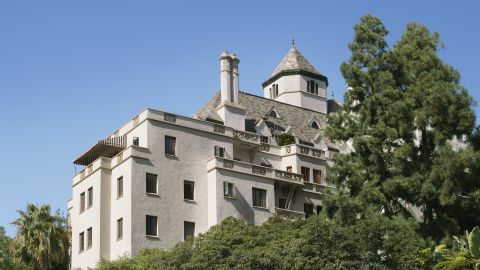 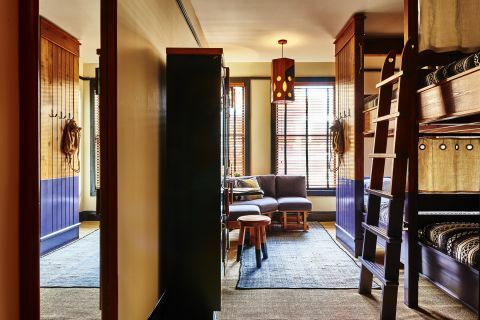 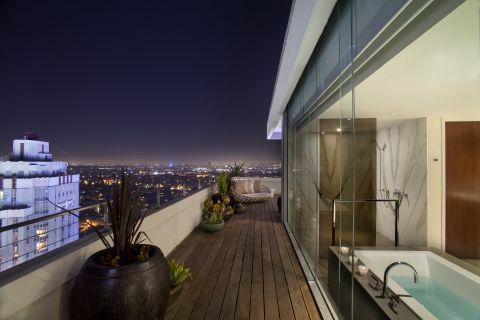 Renovating such a historic property required great care, and New York-based designer Adam Tihany delivered in spades. 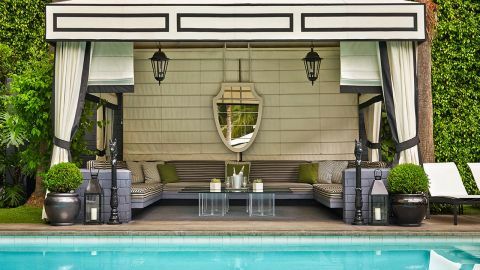 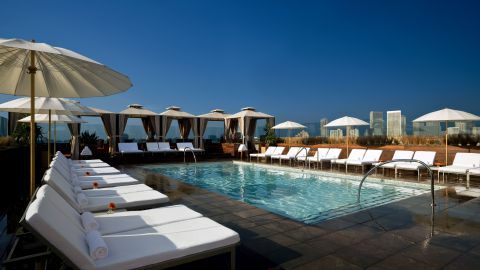 The airy black-and-white poolside cabanas set amid the sultry gardens are quintessential Los Angeles. 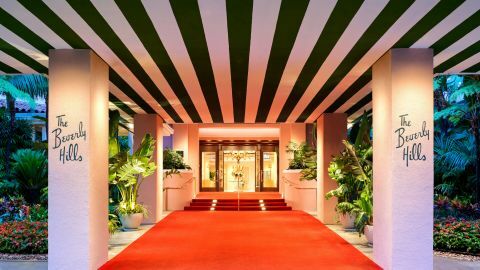 A glamorous scene emerges following a $25 million refit.